Discussion in 'Visual Arts' started by Rick Bartlett, Feb 22, 2018.
the years and are one of my favourite genre's of films. All sorts too, even the b-grade tv movies. any other 'great' Submarine films they've seen and liked? guy incognito, Zep Fan, BNell and 5 others like this. You seem to be missing the best of them all "Das Boot". Hightops, EVOLVIST, guy incognito and 35 others like this. Zep Fan and Mr.Sean like this. 1. Das Boot. Driving home from the theater at night, you felt like you were still in that sub. 2. On the Beach (1959 one; have not seen the remake). It tries to be a (somewhat naive but ardent) pitch for unilateral disarmament. But underneath it was a profound meditation on human mortality (or it seemed profound because of the phenomenal sound track). guy incognito, ShockControl and longdist01 like this. One of my favorite movies of all-time. Ramsey : "Give me the key, Mr Hunter." Ramsey : <violent punch> "Gimme the @%^$*&$ key!" I've never watched Das Boot although I have access to multiple versions. Which one is best for a first viewing? I don't mind long movies but only if the pace doesn't suffer greatly. On repeated viewing, the Director's Cut can be interesting, but oftentimes, the Theatrical Cut is more satisfying to watch the first time. conditions during WWII. I also watch it in the dark with the sound up loud! I always watch movies in their original language anyway so that's no problem for me. You're convinced a first viewing is best with the DC 208-minutes version, then? Das Boot, is the only one I can think of and yes it's fantastic. on that one I think. guys? Zep Fan, fr in sc, PonceDeLeroy and 1 other person like this. Gasman1003 "The Thinking Man's Drinking Man"
Zep Fan, Andy Smith, dewey02 and 5 others like this. Not an expert at all, but I think this says a LOT: my girlfriend sat throught it all without a break, never complained, really enjoyed it, and this is not at all typically her type of movie. The Hud and Rick Bartlett like this. The Lippizaner Stallion stuff is great too. guy incognito, Raunchnroll, vince and 1 other person like this. Tarentino apparently worked to spice up the dialogue in some scenes, such as the superhero one between Hunter and that subordinate who got in a fight. My father was a submariner in the 1950s. When we watched this movie together he said that the sub they were using was not a nuclear sub at all, but an older diesel powered craft. Still a great movie. The version I saw first seems to be called "the BBC miniseries" listed on Wikipedia as 300 minutes long and shown in 1984 and 1988. I'm guessing the 'uncut' 293 minute version is similar. I loved the longer versions - I just felt the often-humdrum existence mixed with moments of tension and terror came across a lot better with the longer versions. I found the film-length versions a little bit unsatisfying in comparison, but still very, very good. You can't go wrong with any version really. One of the greatest films/series ever made IMHO. 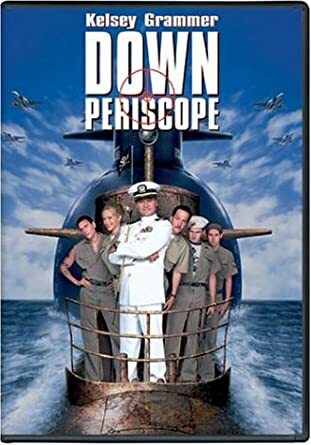 I've always found Down Periscope hilarious. The Hud and Linger63 like this. Have not seen The Hunley in years. Used to watch it all the time. Great movie. I had to turn off U571 when they started having a gun fight inside the submarine. My fantasy of surviving a zombie holocaust is loading 100 years supply of food inside the largest submarine ever made and living in the center of the ocean for the rest of my life. Would it work?